Friday, February 16, 2018 Hap Sneddon of Castlemoore Inc shares his top picks: the iShares S&P/TSX Global Base Metals Index ETF, Shopify and JPMorgan. Wednesday, January 3, 2018 Hap Sneddon, chief portfolio manager and founder of Castlemoore Inc., shares his outlook for the markets. Monday, December 4, 2017 Hap Sneddon, chief portfolio manager and founder of Castlemoore, shares his outlook for the markets. Friday, November 17, 2017 Hap Sneddon, Chief Portfolio Manager and Founder at Castlemoore Inc. shares his outlook for the markets. 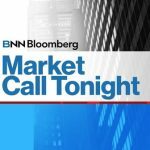 Thursday, July 20, 2017 Hap Sneddon, Founder, Portfolio Manager, CastleMoore discusses technical analysis and takes calls.